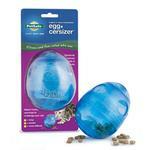 -- Select a Size/Color -- Egg-Cercizer - Out of Stock! Who says you shouldn't play with your food? 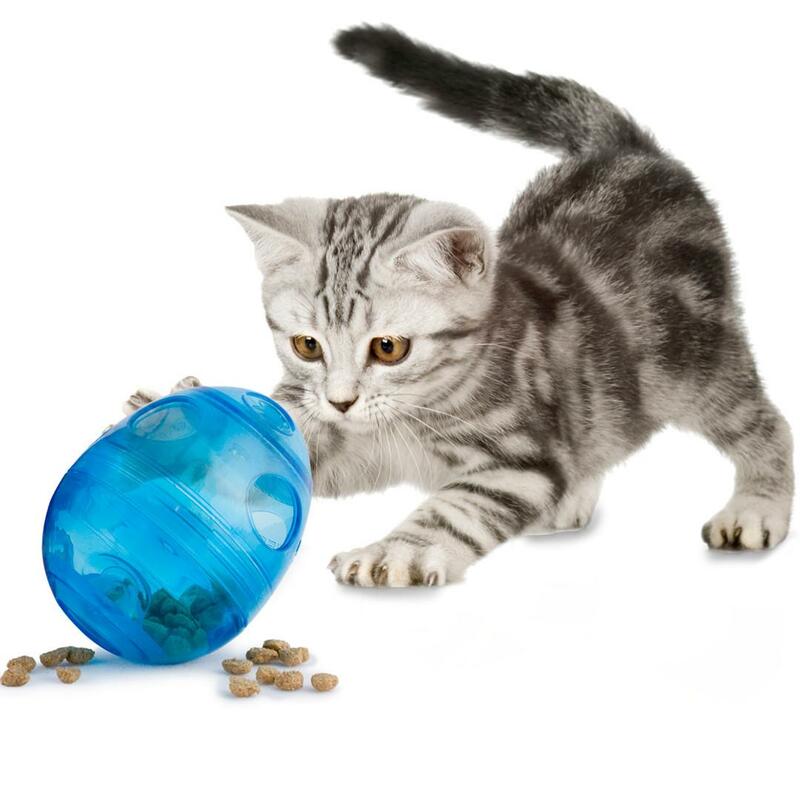 With the Egg-Cersizer™ Cat Toy by PetSafe, mealtime is fitness and fun, rolled into one! The Egg-Cersizer treat-dispensing toy makes playtime more fun and helps your cat lose weight. Fill it with treats or your cat’s entire meal. 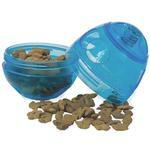 Open 1, 2, or 3 of the dispensing holes to customize how fast the treats or dry food come out. Decrease the number of openings to increase the challenge over time. 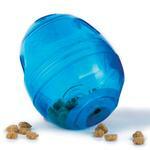 Fill the toy with food or your cat's favorite treats. The food pops out of the openings as your cat plays with the toy. Your cat will bat the toy around the house to get the food to come out. It’s a great way to slow down cats who eat too fast, encourage your cat to work for each meal, and reward your cat for exercising. Kibble and treats not included. Measures approximately 5". Product quality exceptional with super fast delivery.... very satisfied.